The Nissan Rogue is America's best-selling SUV and for good reason. With several safety features and additional options, it's easy to find the Rogue of your dreams. 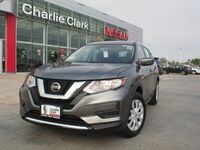 A total of 6 different versions of the 2018 Nissan Rogue are available. From Hybrid to Midnight each version of the Rogue offers top of the line safety and comfort. 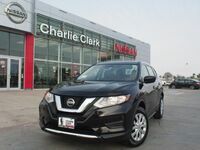 We'll go through what comes standard on the 2018 Nissan Rogue as well as walking through some of the upgrades available through the different versions. Find Your Nissan Rogue Match! Beyond the standard S version, there is also the SV, SL, hybrid versions of the SV and SL, All-Wheel Drive upgrades for each version, and a midnight edition. Between all the different varieties the performance is the same, except for the hybrid option which provides a bit more horsepower and improved fuel economy. The biggest differences between the S, SV, and SL versions are safety and entertainment options. The SV and SL versions have blind spot and lane departure warnings and accident avoidance system. The SL also has front fog/driving lights installed as well. On the entertainment side, the most obvious upgrade is to the quality of sound systems. The S version has four total speakers while the SV has six total speakers and the SL has nine total speakers, two subwoofers, and a Bose premium brand sound system. The SV also has satellite radio with real-time traffic. There are other comfort and convenience upgrades available that are better to see in person. 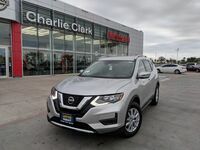 To learn more come in and schedule a test drive of the 2018 Nissan Rogue and find out with model suits your needs. Call us with any questions you have and we'd be glad to help you learn more. *Fuel economy based on 2018 EPA fuel economy estimates for 2018 Rogue® FWD. 2018 fuel economy of 26 city MPG or 33 highway MPG or 29 combined MPG estimate Actual mileage may vary with driving conditions — use for comparison only.